Bronze with red – brown patina. A native of Douai, Jean Boulogne made his career in Florence where his name was Italianized into Giambologna. In addition to large rnarble sculptures, Jean Boulogne made numerous models for small bronzes. These were cast in his workshop and disseminated by his pupils. They were much sought after throughout Europe, and served as diplomatic gifts at the Court of the Medici. The Louvre group is of exceptional quality and one of the very rare examples which has the artist ‘s signature (IOA BOLONGIE on the centaur ‘s headband). 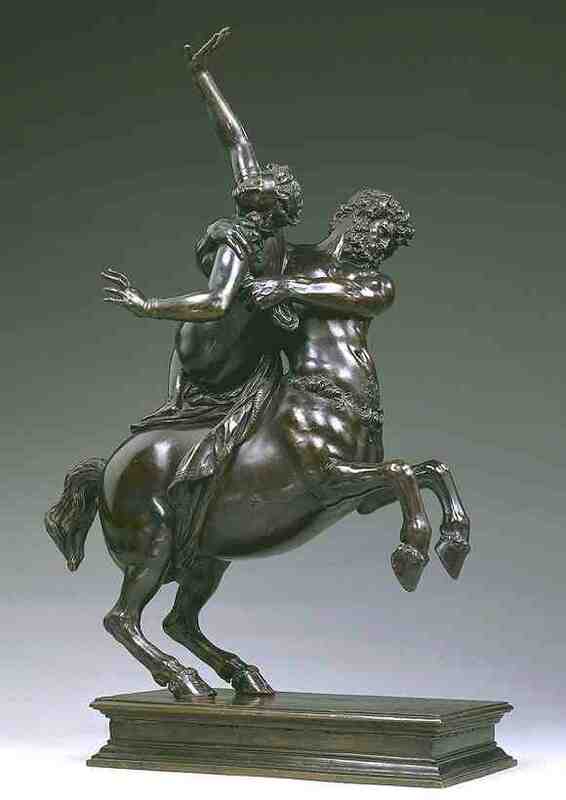 It was most probably the bronze given to Louis XIV by Le N�tre in 1693, and shows Jean Boulogne ‘s genius for capturing two figures in action.